Vietnam continued to maintain their victory run in the International Women's Volleyball - VTV Cup, defeating Liaoning of China 25-18, 26-28, 25-18, 13-25, 18-16 on July 28 and thus staying put at the top of the charts. It was their fourth win at the annual event, securing for them a berth in the semi-finals. Despite their loss, Liaoning too join Vietnam in the knock-out stage. The third ticket went to the Democratic People’s Republic of Korea (DPRK) who beat Thailand's U23 25-16, 28-26, 28-26 on July 28, setting up their next joust against Vietnam. In an earlier match, the Philippines came from behind to beat China's Nanjing 18-25, 20-25, 25-19, 25-19, 15-12. 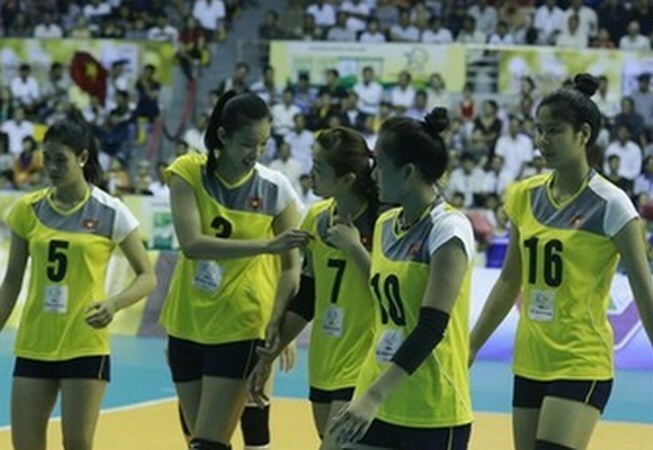 It was the first win for the Filipino girls at the tournament while for Nanjing, it was their fourth loss in a row. The victory helped the Philippines escape the ignominy of being at the bottom of the rankings, and keep hopes alive for a chance to enter the semis if they beat Liaoning in the final match of the qualifying round on July 29. The 2015 International Women's Volleyball Tournament – VTV Cup opened in the southern province of Bac Lieu on July 24. Together with Vietnam, Thailand’s U23s, the Philippines, the DPRK and China's Liaoning and Nanjing are taking part in the event. The winners will walk away with 10,000 USD, while the runners-up will receive 7,000 USD and 5,000 USD./.